The test signals on Sound Check were generated with a Bruel and Kjaer Sine/Noise Generator Type 1049 and recorded digitally using a high quality 16-bit linear analogue to digital converter with Delta Sigma conversion. The post production and final editing was performed on the Sonic Solutions system at Abbey Road Studios, London. 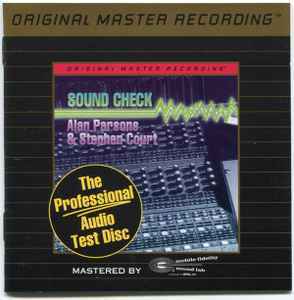 Copyright © 1993, Soundcheck Productions, A.Parsons & S.J.Court.